· Pet can do good interaction with its owner, increase the dog's subconscious, so as to achieve the purpose of training. · Nontoxtic material made, and you can clearly see the volume of your pet food. 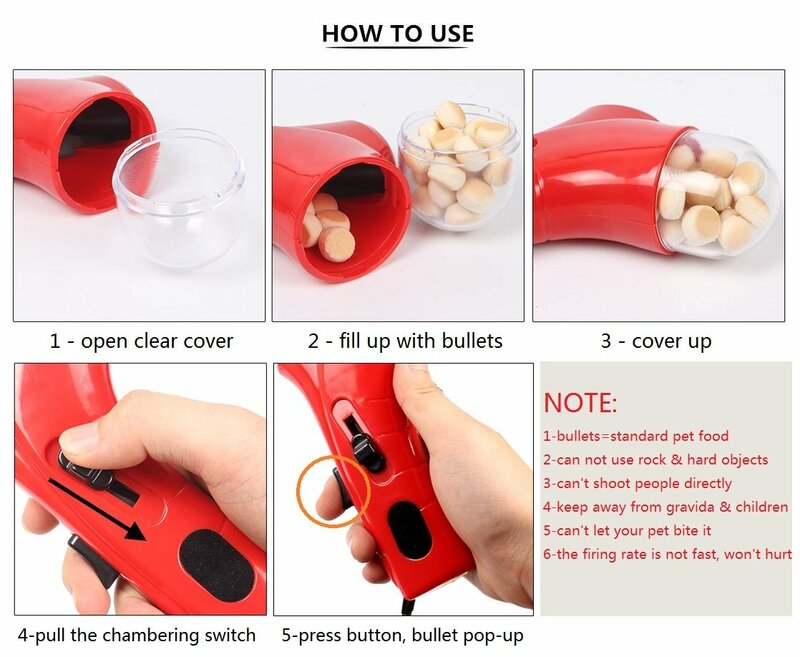 · Food can be ejected very quite far form the shooting place, cultivate the ability of your pets. · Easy to operate: the food will ejected from the gun when you simply push the trigger. · Food catapult internal have a strong spring, both energy saving and environmental protection. Sign up and get notified of special discounts!